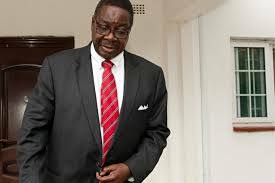 Thank you Your Excellency President Peter Mutharika for intervening in the teachers’ crisis over late salary and unpaid leave grants. The Malawi we have in this part of the century, does not need interventionist leadership, because in our understanding it looks like you are playing mind games with the citizens, testing how hot and cold water can be if you choose to give deaf ears to the concerns of the citizenry. This has proved the way you have handled the issue of corruption in the country, as well as the Chancellor College closure that is getting into one year now. Your actions are indicative of a lazy leader, who can only act when damage has taken place. You are driving our beautiful and peaceful nation into anarchy, your actions are telling us, unless we toy-toy in the streets where some innocent citizens lose their property, is when you can act or intervene. This is a dangerous precedence because you are announcing to the country that if you are to tackle corruption where George Chaponda is to be prosecuted, we must go into the streets to protest where your police will teargas all of us, is when you will arrest Chaponda and stop corruption in Malawi. You are also in a way asking the students at Chancellor College and their parents to vandalize Zomba town in protest for you to act. Malawi has many challenges we all know this, but an interventionist ideology will not help us overcome these massive challenges. Knowing that Malawi is faced with hectic challenges that require and need robust solutions and ideas, you have to be a leader that deals with issues beforehand. If you wait for mass actions to take place for you to act, know that our country will soon fall. Do not let any problem spill out of control. The arrest of over 10 primary school pupils, which in legal terms can be categorized as “juveniles,” has extraordinarily dirtied and tarnished your already defaced image. The arrest has attracted international eyes and ears. The scattering that pupils undertook has a bad omen on your leadership and Government. These are consequences of interventionist ideologies. However, much as we know that there will be one leader at a time, we are withdrawing our recent call for you to step down, instead we are urging you to do what is right before you complete your mandate. For you to save your face, there is need for you to start opening the door of cabinet boardrooms and allow those that are failing in your administration to resign. In this case Minister Fabiano must be forced to resign, for failing his duties to see to it that teachers are looked after and paid their dues on time. The Teachers Union of Malawi indicated and warned Mr. Fabiano of the impending strikes if their grievances were not met, but he chose to ignore. Your failure to ask Education minister to resign, will render you as an engine failure that requires complete overhaul, which means all failures done by whoever in your administration will lie in your hands. A lot have been said against you. Taking in mind the intensity of time towards 2019, you wouldn’t want to be associated with failures if you are to avoid being a one term president. This is the reason you may need to prune the tree and weed some of the weevils in the administration. The nation is grateful with some of the achievements you have so far brought in the country, but do not forget your late brother who changed the face of Malawi from a hungry nation to a food basket, who bituminized roads and increased infrastructure development, lost it out when fuel ran out from the pumps across the country. You will not be spared if you do not play your game carefully. Those you shield and back (Chaponda, Kaliati, Mussa, Gondwe, Msaka, Mwanaamveka and Jean Kalirani), may cost you the presidency in 2019. If you are to proceed to the next term, you must choose knowledge and work with people with great ideas. In this case we appeal to you to start tackling corruption and stop state looting so that the intended stolen money can pay teachers, hike the civil servants pay (there are rumours of another looming sit-in or mass action planned). Develop each and every corner of the country to subvert the disarray of nepotism, tribalism, regionalism, and segregation against one part of the country. On my side, I do not need anything, what I would urge you to do is to revive our road, with bitumen, the once famous Blantyre-Mwanza via Chileka Road: My constituency the Blantyre Rural West, that pumps water into Blantyre our largest commercial city, that electrifies the commercial city to be developed with network of piped water, feeder roads that are passable. The refurbishment of Chileka Chilomoni Road, via Chintumbira-Khombwe-Maliya and Chigwaja. Chikuli-Mphatamanga Gorge via Kunthembwe and Imbwa Road. Bring rural electrification program to this part of the dead and forgotten country. This will make Blantyre a complete commercialized district. We cannot cherish or admire Blantyre city when Blantyre rural East, Blantyre rural South, Blantyre rural North are developed leaving Blantyre rural west in isolation. We do agree with our brothers and sisters in the north, Likoma and Chizumulu Islands of neglect when the verandah of Blantyre city -the Blantyre Rural west is isolated and neglected. Your Government must develop the country collectively, look after everyone collectively and tolerate articles like this because the better of Malawi is for all of us. The views expressed in this article are not necessarily those of the Publisher or the Editor of the Maravi Post.